The growing complexities in enterprise mobility is creating immense pressure on enterprises to deliver mobile apps with awesome user experience faster than ever. 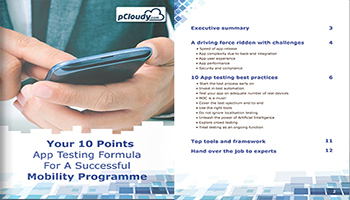 Find out the best solution with this insightful Joint Whitepaper by pCloudy and Hexaware Technologies. Facebook, by setting up a successful large scale mobile device lab in-house has set a standard in mobile app testing. 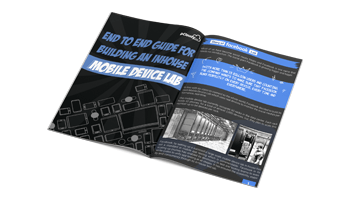 Our hero in the story, George a CIO also wants to build an in house mobile device lab and figures out the intricacies, effort, resources and costs involved in building one. 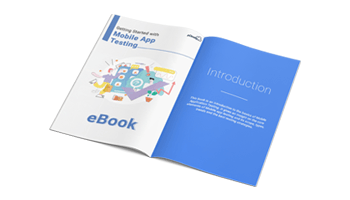 Get started with mobile app testing with this ebook. 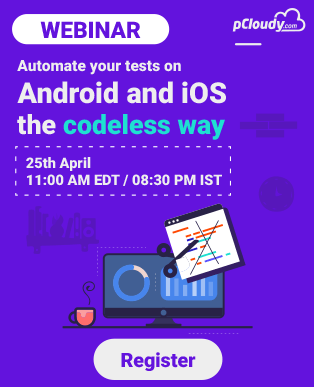 It will take you through the fundamentals of testing mobile applications and help you kick start your mobile testing activities. In this exciting times of digital transformation, it becomes imperative for mobility teams to respond to the market demands faster than ever without losing focus on innovation and cost. 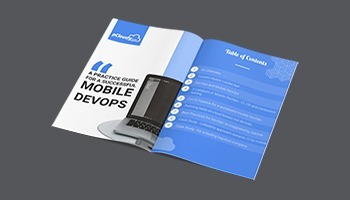 This whitepaper serves as a practical guide for enterprise mobility to set up their Mobile DevOps. Though enterprise mobile apps have become critical tools for businesses, enterprise mobility is not free of challenges. 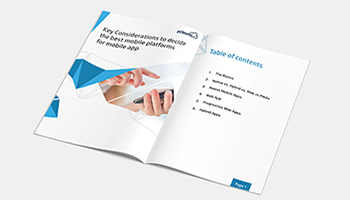 This whitepaper examines the business challenges associated with mobile apps and illustrates how a few app testing good practices can help tackle these with ease. Enterprise mobility has evolved to be an integral part of daily life but this evolution rose the complexity on its way. Many platforms, architectures, frameworks are available to create an app and all of them have their own pros and cons. 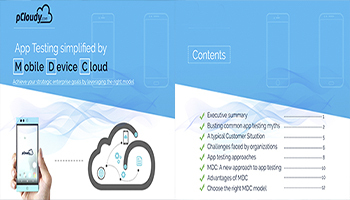 Enterprises across the globe are leveraging the benefits of Mobile Device Clouds for app testing and are getting unmatched business benefits. Is your organization losing out on business due to conventional app testing methods? 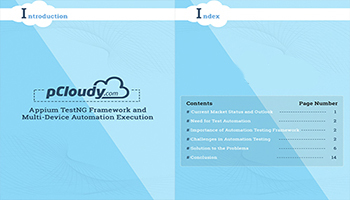 Testing teams face numerous automation challenges in their testing framework. We will find out how TestNG along with Appium can solve those problems easily and not only accelerate the time-to-market of the app but also improve the quality of the app. 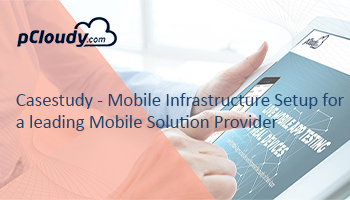 Read our blogs to get more insights on enterprise mobility.